One of my tasks was to create their card. 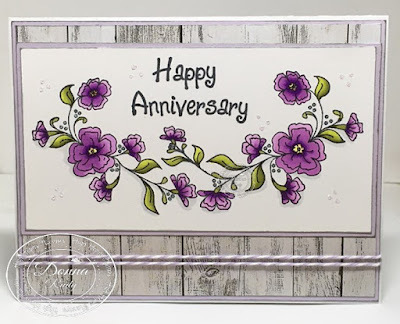 I wanted to include flowers and one of Mom's favourite colours - purple. I also wanted to include something for my Dad which is where the wood comes in. Since his retirement he has been dabbling in wood working so the wood paper is perfect to include him. The inside included a special note from all their "Kids" which they loved. 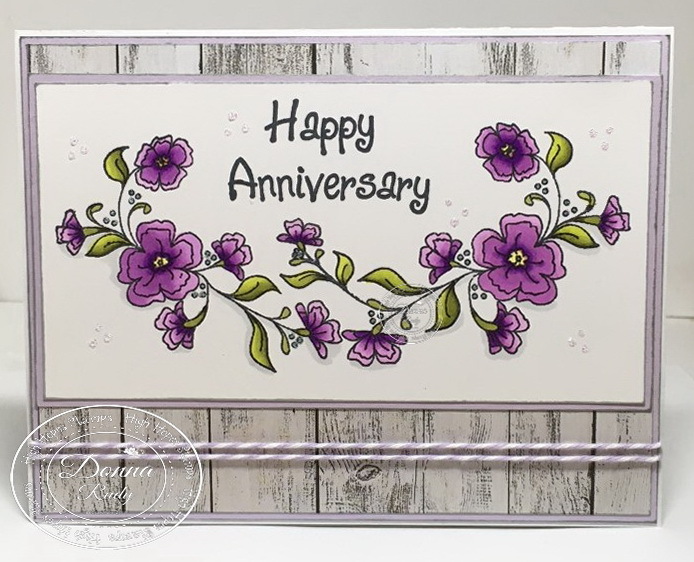 I wanted to use the flowers on the With Deepest Sympathy stamp but the sentiment didn't fit. I grabbed my post it notes and strategically masked off the sentiment and stamped the flowers. The sentiment was another test in masking and placement as it is actually a long sentiment not stacked like I have done it. I sooo love my Misti! 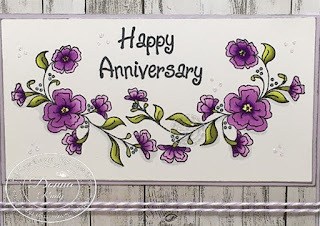 After holding my breath and stamping, I coloured the flowers with alcohol markers and cut it out. 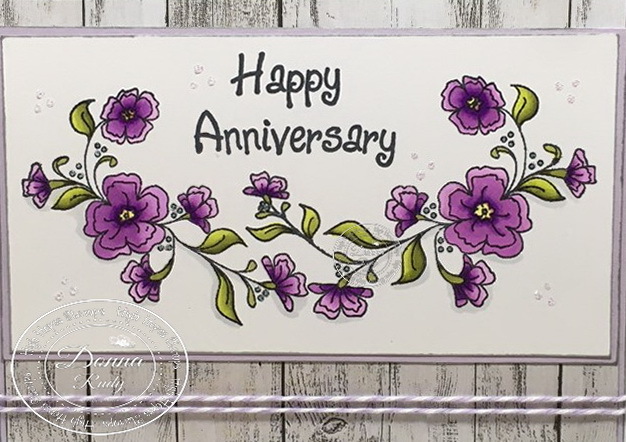 I added some stickles to not only the balls around the flowers but also in some of the white space around the stamp. Some wood paper in the background, inked edges and some twine finish off my card.